Digital companies and teams - agencies, product companies, startups & scale-ups. 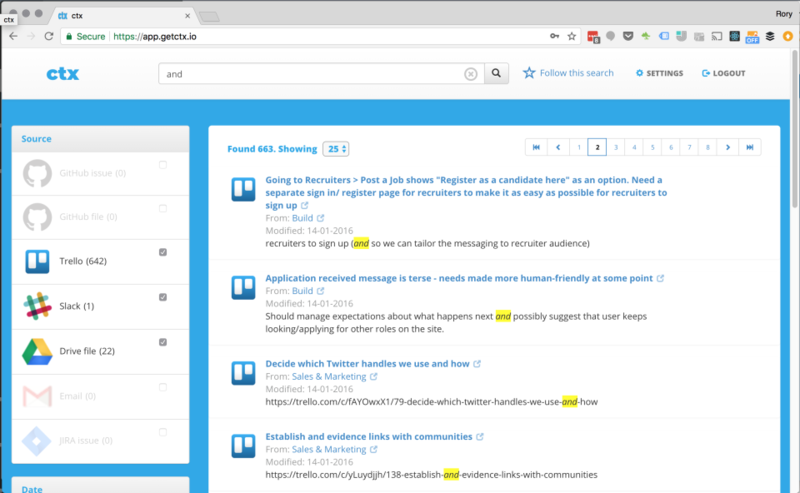 CTX is a search tool that indexes your Trello, JIRA, Slack, Google Drive, email and Github and helps you find your data fast. Drawing from the best of traditional Enterprise Search technology and boosting it with cloud-hosted Open Source technology, CTX helps you find the conversations, tickets and files you need in record time.